Santo Domingo, the capital of Dominican Republic is the oldest white settlement in the western hemisphere, and was the main Spanish base for its further explorations in the area. French buccaneers later settled the western end, naming it St. Dominique, and in 1697 it was ceded by Spain to France. In 1804, after a slave revolt, the western part was renamed Haiti. 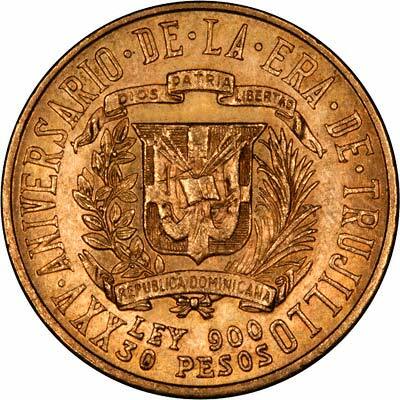 From 1822 to 1844 the eastern portion was also under Haitian control, when they were driven out by Pablo Duarte, the earliest national hero, and the Dominican Republic became independent. It voluntarily returned to Spanish dominion between 1861 and 1865, but in 1866 it re-established its independence. 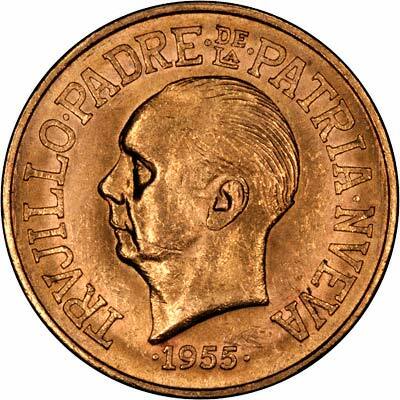 Although Dominican Republic issued its own coins considerably earlier, its first gold coins were only issued in 1955, these being 30 Pesos for the 25th anniversary of the Trujillo regime. 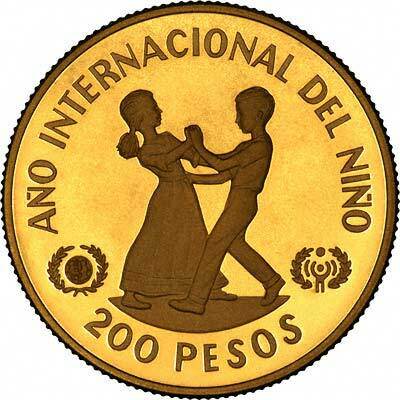 For investors or collectors wishing to buy 30 Pesos in quantity of 10 pieces or more, we may be able to quote very competitive bullion rates on request. 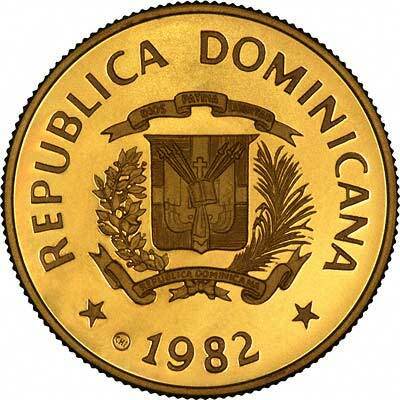 For silver and base metal coins of Dominican Republic, please look at our original Chard Coins website.